With a project due tomorrow and a motivated child, my 8yo and I had fun (and mess) making these recyclable crafts - Battery Recyclable Bin or Table centerpiece, Carry-all or Desk Organizer and Magical Music Shaker. 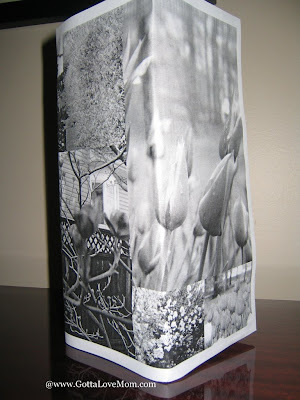 Instructions:Wrap the orange juice box or the tissue box with your favorite photos. For the battery recyclable bin – in one of the sides, print out the recycle logo to remind family members! 5 years ago when I put together Mom and Dad’s 40th wedding anniversary, I used tissue boxes. I had the sitting arrangement so I gathered all the old photographs depending on the guest list. Each guest in the table is featured in the tissue-box-centerpiece. They weren’t using digital cameras then so I had to scan the pictures one by one. Everyone loved looking at the old photos. They all took it home. You can just refill the boxes with tissues. Mom and Dad still has a few around their house. Don't worry about the mess....just enjoy being a kid! InstructionsPaint the empty six-pack holder. Let it dry overnight. 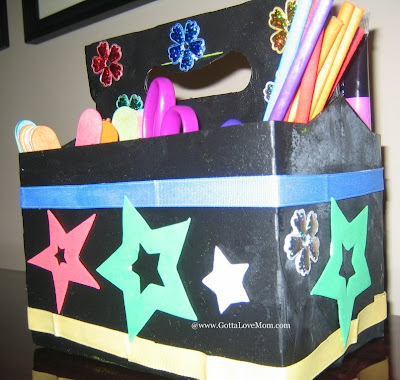 Have FUN decorating your organizer or carry-all. * Paint the prescription bottles black. * Ask Dad to drill a hole; sharpen the sticks so that it will fit in the hole. Have fun with your recyclable projects! Check out our list of activities during Power-Down Week. 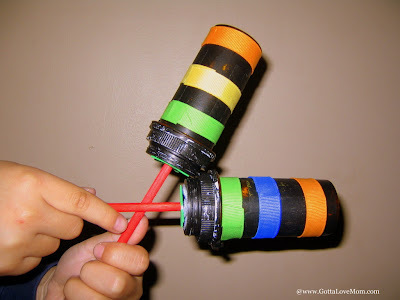 To read on my 8yo's reactions about these crafts, please visit his on-line journal. JOSH, YOU LIGHT UP MY LIFE!!! I LOVE EVERYTHING YOU MADE. PERHAPS YOU CAN MAKE AN ORGANIZER FOR ME TOO. He is adorable! Those are great recycling ideas! Thanks for following. I'm now your follower too. Thank you for following my blog. I'm following you too. Great post. Your kids are adorable!